Mixologists have entered a new era behind the bar. Guests are gravitating towards more interesting ingredients, the more bizarre, the better. 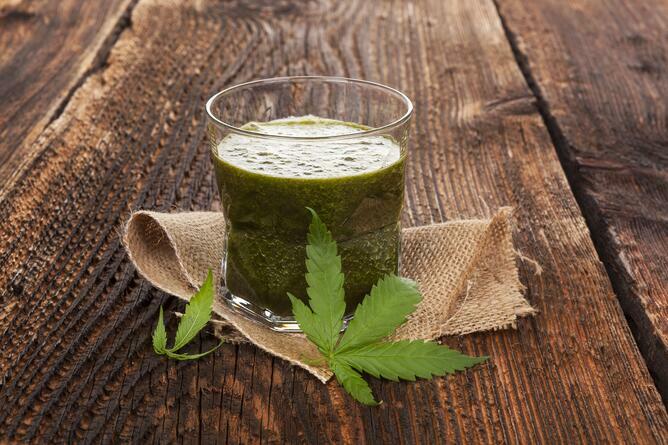 One unlikely element popping up on bar menus is Cannabidiol oil, more commonly known as CBD. Bartenders across the country are breaking the stigma surrounding sativa and incorporating it into their cocktails, one bud at a time. It’s not just a vodka tonic. It’s an experience. Cannabis culture may have had a bad rep in the past, but it doesn’t always mean trippy prints and Bob Marley T-shirts. Sometimes it means classy cocktails, carefully infused and delicately garnished. It’s been said that if you don’t know about good cannabis cocktails, than you probably don’t know about Warren Bobrow. And Bobrow knows his bud. Afterall, he’s been smoking since he was 13 years old. So it made perfect sense for him to throw away his 20-year career as a banker and transition into a cannabis cocktail whisperer. In 2016, Bobrow published his book, Cannabis Cocktails, Mocktails & Tonics: The Art of Spirited Drinks and Buzz-Worthy Libations. Little did he know he was ahead of the game. Just one year later, beverage heavyweight, Constellation Brands, announced plans to take a $191 million stake in the Canadian medical marijuana company Canopy Growth. It’s this kind of forward thinking that has gotten Bobrow far in his industry. When choosing the perfect liquor to infuse, Bobrow suggests using high-quality craft spirits. A personal favorite is Mezcal. “It’s the most mysterious, and it adapts to many moods. It’s metaphysical and it takes to my special THC infusions with alacrity,” he was quoted in High Times. But what’s just as important is finding the perfect strain of cannabis. Generally speaking, the taste of cannabis is comparable to a bright, green and leafy, yet floral herb. But each strain brings its own depth of flavor and character to every cocktail. Marijuana pairs with spirits much like cheese does with fine wine. It’s all about finding balance. Although serving THC at a restaurant or establishment is not yet legal, CBD extracted from hemp, provides a legal alternative while adding just as much wow-factor. CBD is highly regarded as one of nature’s most remarkable compounds. Since it’s associated with the marijuana plant, most people assume that it has psychoactive qualities, but that couldn’t be further from the truth. In its purest form, it has a nutty, earthy taste with subtle notes of grass. It can create feelings of euphoria, alleviate nausea and relieve anxiety. Some users claim it can cure epileptic seizures and treat serious neurological diseases like alzheimer’s, multiple sclerosis, and Parkinson’s. While it affects everyone differently, a small dosage can be the perfect compliment to most any cocktail. Maxwell Reis of Gracias Madre in West Hollywood said he likes to use CBD in his cocktails to enhance flavors with similar qualities such as basil and mint. Much like Bobrow, he also likes to use Mezcal and preferably infused with a CBD tincture. A tincture is a liquid extract from an herb or plant, used as an additive for food and drinks. “Tincture[s] integrate into a cocktail seamlessly just like any other alcohol, so you get every last drop! I find myself using tincture[s] 90 percent of the time,” Reis said to goop. When he’s not using tinctures, Reis will use CBD oil. And unlike tinctures, oils have a tendency to sit at the top of the drink. This gives the added benefit of being able to see, smell and taste the oil. Consider it more of a sensory experience than just your average cocktail. Reis touts that there is no better place to find higher-quality CBD than at your local marijuana dispensary. He presents one of his cocktails infusions with a large orange peel branded in red with ‘Puff, puff, pass. Another, he shakes matcha powder on a stencil to form a vibrant green pot leaf atop a foamy vegan froth, a Gracias Madre favorite. Currently on the menu is a CBD snow cone made using lemon, agave, hibiscus, ice, reposado tequila and CBD oil— perfect for summer. 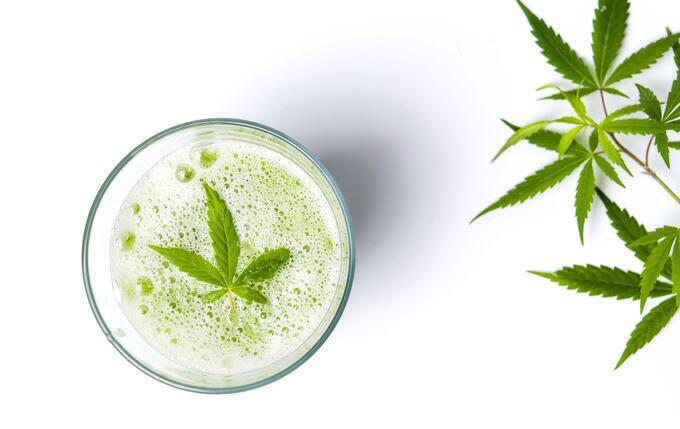 Indeed marijuana mixology is an elevated art form, one that is starting to quietly gain momentum. Before you make it apart of your menu, it’ll probably help to get a little practice in first. 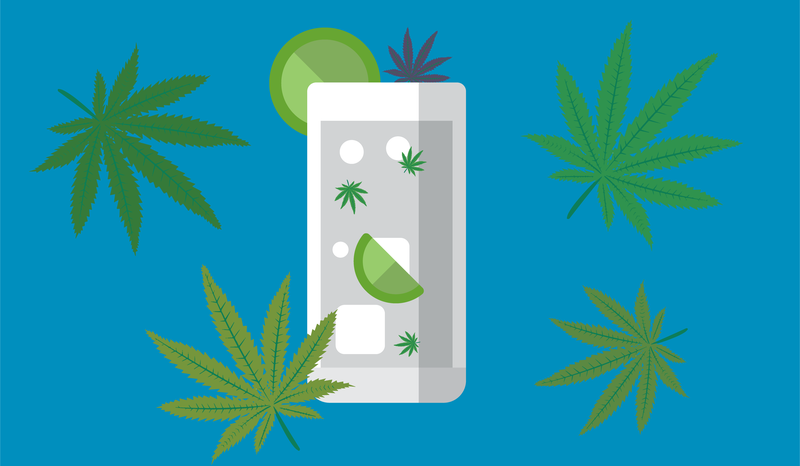 Check out these cannabis-infused cocktail recipes, curated by Reis: Gin & Chronic, Cannabis Cup, Up In Smoke.